The small Tabarca archipelago is made up of the main island, known as Flat, and the islets known as The Quarry, the Galley and the Vessel and many reefs. The coast line is cut out, made up by small cliffs of short height, with beaches with pebbles at their base. The only sandy beach is on the isthmus. In 1337 the Council of Elche, the island belonged to that district at that time, was allowed to build a tower to watch out the coast since there was a permanent menace of pirates who used the island as an operation base. Between 1766 and 1775, following an order by King Carlos III, a project was carried out to build a fortified town on the island. The island was fortified with walls, batteries, castles and bulwarks and, furthermore, houses, military quarters, stables, underground vaults, a church, governor’s house, washing place with cisterns to collect rain water, a warehouse for esparto plants, tavern, bakery and other services for lime and plaster and last but not least a dry dock. 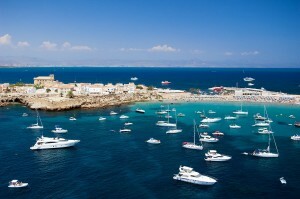 The whole Tabarca archipelago fulfils a number of conditions making it worthy of special interest. On one hand, we have its geological, biological and ecological characteristics, its isolation and state of preservation, which favour the existence of very interesting land sea eco-systems. On the other hand, its town planning as a fortified village is one of the scarce examples of military architecture on the Spanish coast and we must add the many archaeological sites found here. In Tabarca sea waters are very clear, with an effectively lighted depth between 22, 5 and 47, 5 meters in depth. This allows plants to live much deeper and, therefore, biological communities are very fertile. 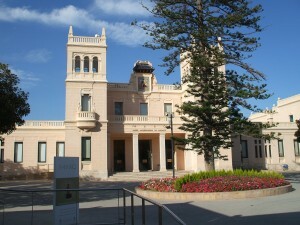 In 1983, Alicante City Council ordered an ecological study on the island’s maritime environment. Conclusions stated that it would be of the utmost convenience to create a maritime reserve in order to preserve fauna and maritime flora in the area. It would also serve as restocking in benefit of the ecological wealth of neighbouring waters. Tabarca boasts attractive historic resort architecture worth visiting. 1964 was declared a Historic-Artistic. 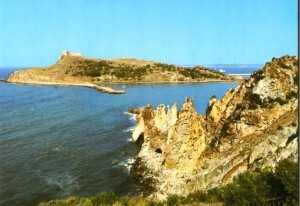 Therefore, Tabarca is a coveted tourist destination. 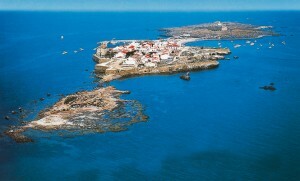 Tabarca is one of the largest islands in the Valencia Community, with an area of ​​1800 by 500 meters. 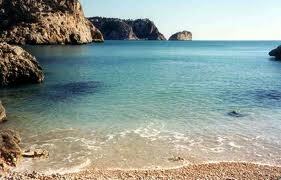 You can access it through the catamarans from Alicante or Santa Pola. Its crystal clear waters encourage them to dive in, inviting you to enjoy one of the most beautiful underwater locations. Services: rental umbrellas and deck cleaning services and rescue services in summer.